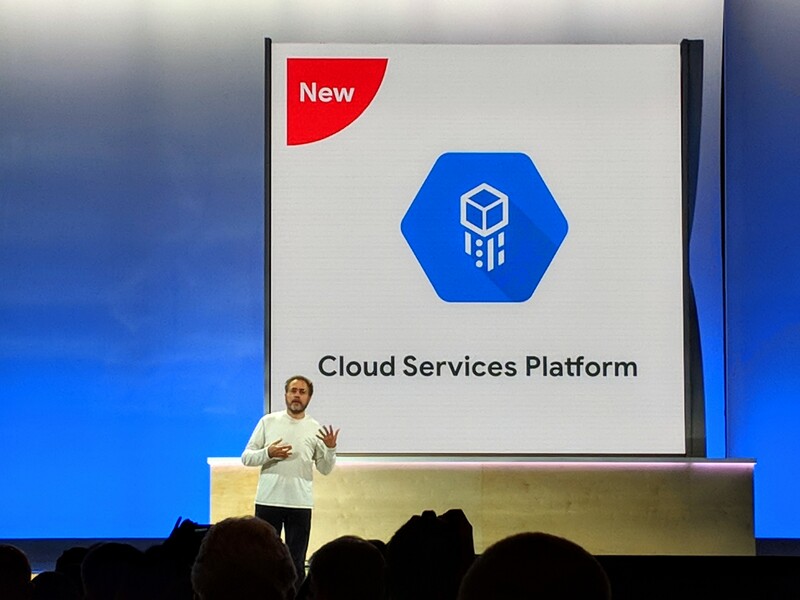 Last July, at its Cloud Next conference, Google announced the Cloud Services Platform, its first real foray into bringing its own cloud services into the enterprise data center as a managed service. Today, the Cloud Services Platform (CSP) is launching into beta. It’s important to note that the CSP isn’t — at least for the time being — Google’s way of bringing all of its cloud-based developer services to the on-premises data center. In other words, this is a very different project from something like Microsoft’s Azure Stack. Instead, the focus is on the Google Kubernetes Engine, which allows enterprises to then run their applications in both their own data centers and on virtually any cloud platform that supports containers. As Google Cloud engineering director Chen Goldberg told me, the idea here it to help enterprises innovate and modernize. “Clearly, everybody is very excited about cloud computing, on-demand compute and managed services, but customers have recognized that the move is not that easy,” she said and noted that the vast majority of enterprises are adopting a hybrid approach. And while containers are obviously still a very new technology, she feels good about this bet on the technology because most enterprises are already adopting containers and Kubernetes — and they are doing so at exactly the same time as they are adopting cloud and especially hybrid clouds. It’s important to note that CSP is a managed platform. Google handles all of the heavy lifting like upgrades and security patches. And for enterprises that need an easy way to install some of the most popular applications, the platform also supports Kubernetes applications from the GCP Marketplace. As for the tech itself, Goldberg stressed that this isn’t just about Kubernetes. The service also uses Istio, for example, the increasingly popular service mesh that makes it easier for enterprises to secure and control the flow of traffic and API calls between its applications. With today’s release, Google is also launching its new CSP Config Management tool to help users create multi-cluster policies and set up and enforce access controls, resource quotas and more. CSP also integrates with Google’s Stackdriver Monitoring service and continuous delivery platforms. “On-prem is not easy,” Goldberg said, and given that this is the first time the company is really supporting software in a data center that is not its own, that’s probably an understatement. But Google also decided that it didn’t want to force users into a specific set of hardware specifications like Azure Stack does, for example. Instead, CSP sits on top of VMware’s vSphere server virtualization platform, which most enterprises already use in their data centers anyway. That surely simplifies things, given that this is a very well-understood platform.